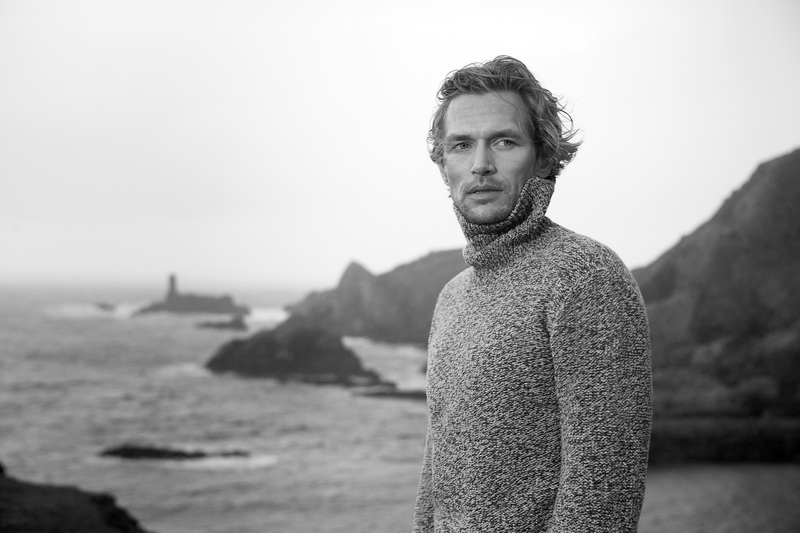 We are Fisherman Out of Ireland, a contemporary, premium Irish knitwear brand based in Kilcar, County Donegal. 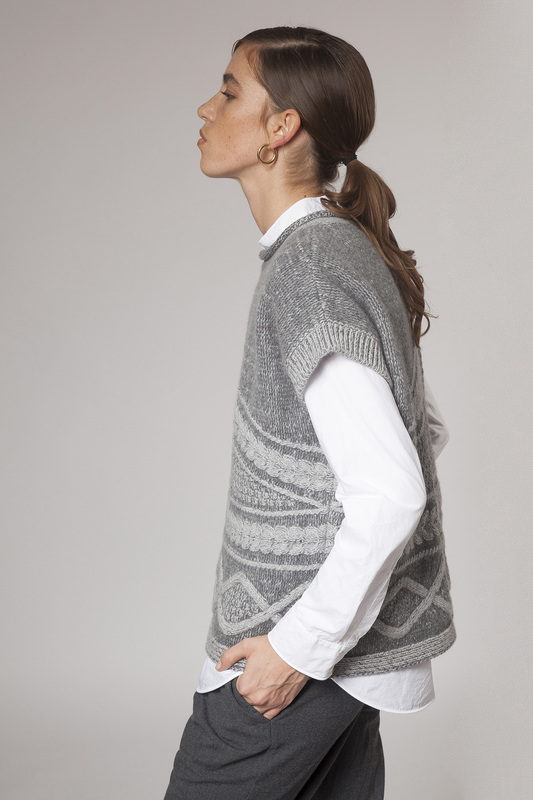 It’s where our entire collection of sweaters, hats and scarves are made, using 100% natural, luxury fibre yarns. 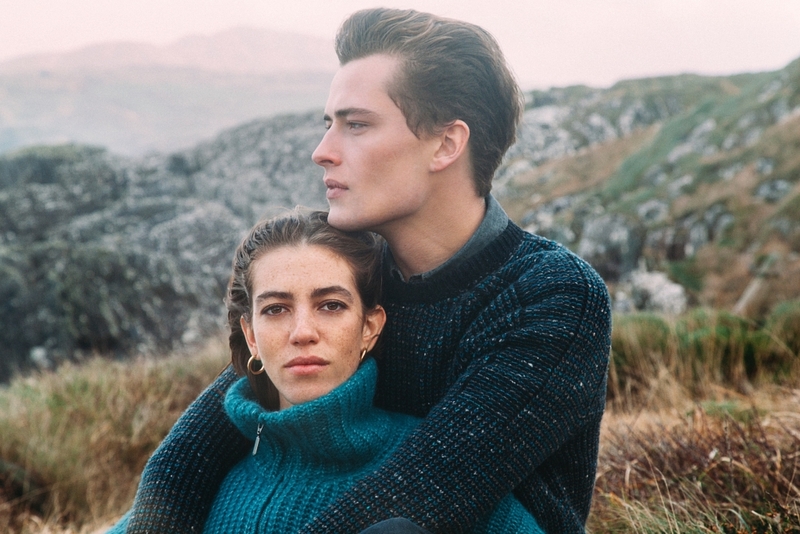 The collection is inspired by the beautiful, rugged and wild Irish coastline which we are proud to call home. Our crew of 34 loyal, local people have many years of valuable experience in the textile industry, so you can’t pull the wool over their eyes! We might be situated on the edge of Europe in the middle of ‘nowhere’ but we export 70% of everything we make to the four corners of the globe. Is muidinne comhlacht darbh ainm Fisherman Out of Ireland, branda Éireannach na linne seo d’éadaí cniotáilte den chéad scoth atá lonnaithe i gCill Chartha, Contae Dhún na nGall. Is anseo a déantar iomlán ár mbailiúchán geansaithe, hataí agus scairfeanna, ag baint úsáide as snáth 100% nádúrtha den scoth. Faigheann an bailiúchán inspioráid ó chósta álainn, garbh agus fiáin na hÉireann as a bhfuil bród orainn ár mbaile a thabhairt air. Tá blianta fada de thaithí luachmar i dtionscal na teicstíle ag ár bhfoireann dhílis de 34 daoine áitiúla. Níl dóigh ar bith go dtiocfadh leat dallamullóg a chur othusan! Cé go bhfuil muid suite ar imeall na hEorpa i lár na ‘hiargúltachta’, easpórtálann muid 70% de gach uile rud a dhéanann muid go ceithre hairde na cruinne. 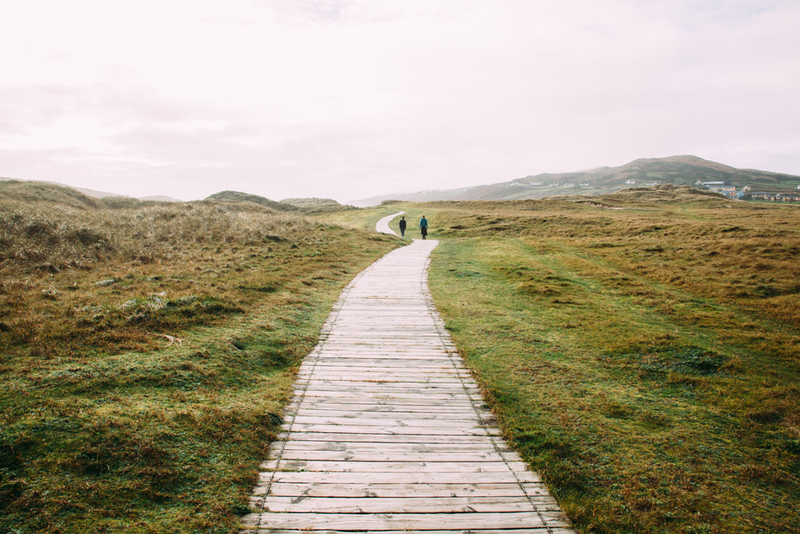 The village of Kilcar, home to Fisherman Out of Ireland, is located in a beautiful part of southwest Donegal, between the majestic sea cliffs of Bunglas (the highest in Europe) and Ireland’s largest fishing Port–Killybegs. 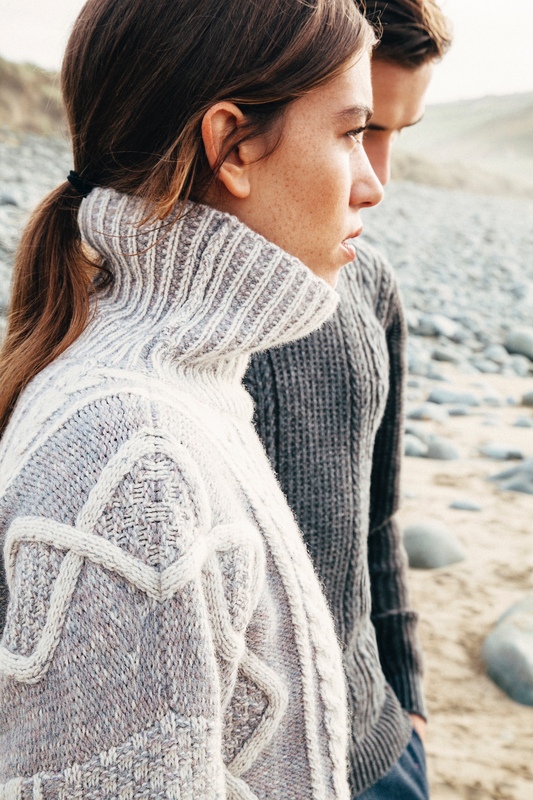 It’s from here we take our inspiration to create our authentic knitwear. If you would like to see more of Fisherman Out of Ireland why not take a trip along the increasingly popular Wild Atlantic Way and pop into our showroom and factory to see where it all begins. 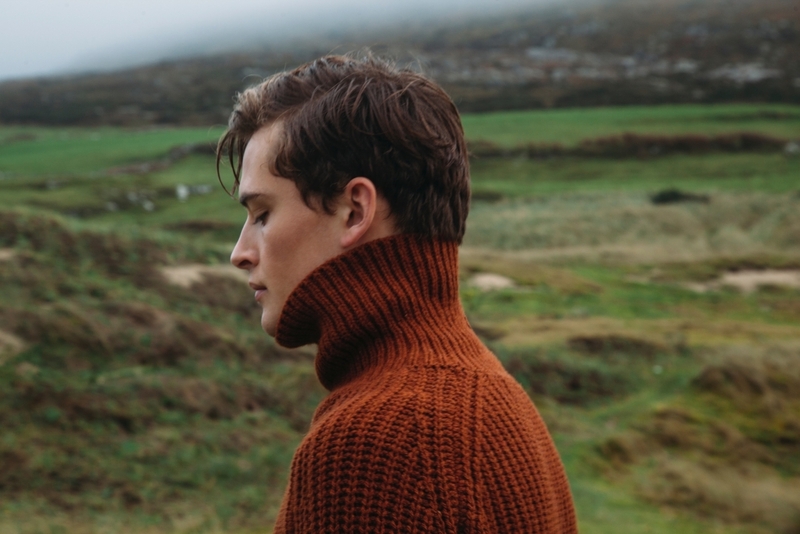 It is perhaps the fabric, and its incredible quality, that makes Fisherman Out of Ireland really special. 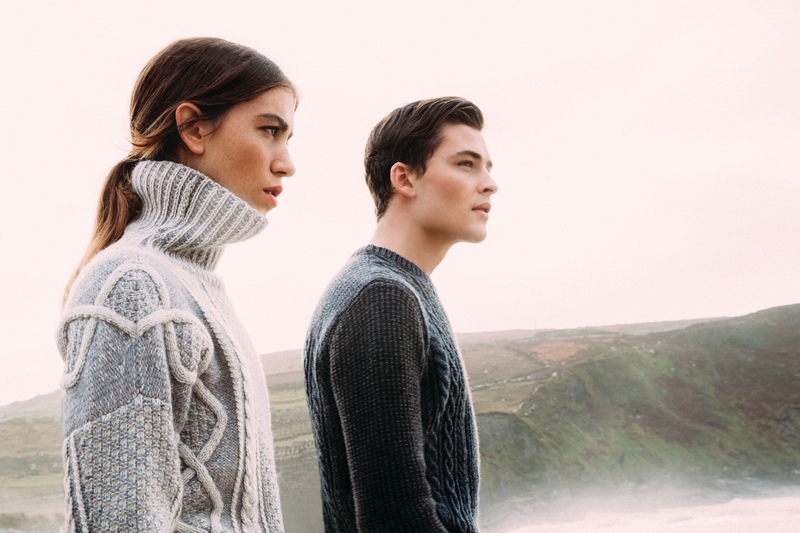 We work with luxury yarns that are 100% natural and some are spun by Donegal Yarns, located beside us in Kilcar. Yarns such as merino wool, cashmere, alpaca, all produced in new and beautiful colours every season. With our simple yet intent focus on quality, our knits exude high-end luxury and guarantee comfortable and easy wear for years to come. All the beauty of the inspirational Donegal landscape wrapped around you in warm, natural style. Watch our 2018 Collection video below, just click to play. Enjoy! Enough has been said and written about the origins of the Irish Aran sweater and what the various stitches were said to represent. 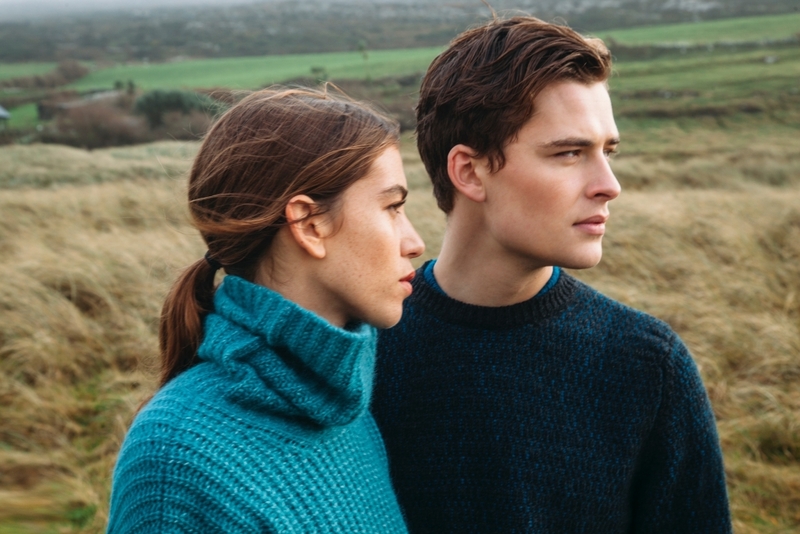 What separates our knitwear from the pack is that when you purchase one of our pieces you’ll find all the authenticity of an Irish inspired sweater, made in Ireland, with a modern fit and yarns that you can wear next to your skin. What’s not to like? 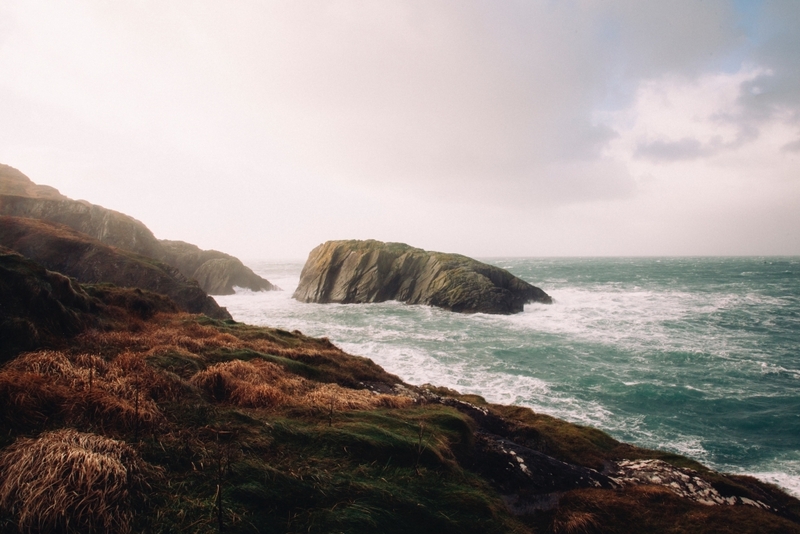 The Irish coastal shoreline never ceases to inspire us with its amazing array of colours and textures. This year’s shoot took place on the Mizen Head Peninsula, County Cork, the most southerly point of Ireland which juts out to the wild Atlantic ocean. It’s an area noted for its dramatic cliff scenery and golden, sandy beaches. One of the main transatlantic shipping routes passes close by and Mizen Head is for many seafarers the last (or first), sight of Europe. It’s the perfect place to wrap up in your favourite Fisherman sweater and take in nature’s powerful sights and sounds while you explore the pathways that lead to the ocean. 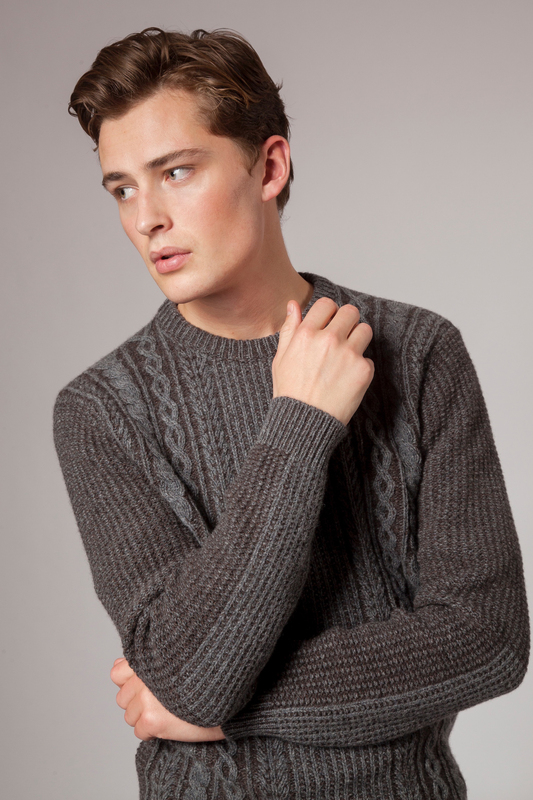 Want To Know More About Our Knitwear? If you continue to use our site we'll assume that you're OK with that.